No matter what time of year it is, parents are always busy. Whether it be ferrying kids to and from school, keeping them entertained during the holidays, helping with homework or preparing healthy meals, the to-do list for parents never ends. So much so that some days parents are left feeling like they have no time to take care of their own health and wellness. Finding the time to fit exercise into your daily schedule may seem impossible but it doesn’t have to be! Check out our tips to help busy parents meet their health and wellness goals. If you don’t have a goal in mind, it can be easy to put off exercise. Be specific with your goal, whether it be to lose 5 kgs or participate in a marathon, setting a specific goal rather than having a general one will allow you to keep accountable. 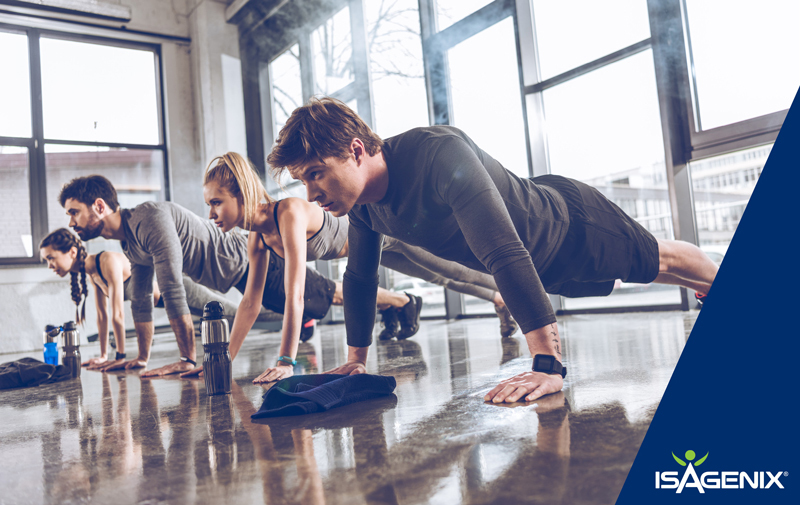 Set some time to create and review your daily schedule and find where you could squeeze in a quick workout – remember, workouts don’t need to be long to be effective. Try scheduling your workouts whilst the kids are occupied with school or other activities. Make completing your workout a priority and treat it like any other errand you have to run that day. As a parent who is already pressed for time, there is no way you can afford spending hours at the gym. The key to any good workout is to give maximum effort in a short amount of time, otherwise known as high intensity interval training, or HIIT. A HIIT workout can be done in as little as 20 minutes and leave your body burning calories up to 24 hours post workout. The IsaLife app allows you to customise your daily schedule and track what you eat so you never miss a beat. You can also purchase Isagenix products through the app and track what you eat using a massive databse of foods, meals and restaurants menus. You can even track your activity levels and connect with your friends for encouragement and to support each other’s wins. One way to know you’re making progress is to see it! Progress is the best motivation and will help keep you going on days you may want to quit. There’s always a way to find time to exercise, even with a busy family, just remember to focus on healthy lifestyle habits and the results will come.